The look of the Fat Boy® is more muscular than ever, thanks to all-new solid-disc wheels, a 240mm rear tyre and the 160mm front tyre. 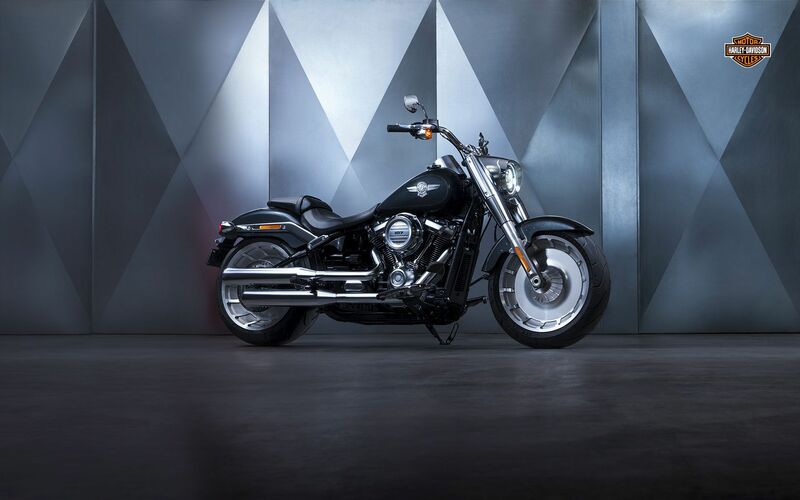 Add the jaw-dropping satin chrome finishes and signature LED forward lighting, and you’ve got a look that will make an even bigger impact than the first Fat Boy® motorcycle made when it rolled off the line. But now, the Fat Boy® is 29 pounds lighter. You’ll feel the difference that makes the first time you tip it up off its side stand. Combine that with the increased power of the Milwaukee-Eight® V-Twin engine, and then imagine what that means when the light turns green. Hitting the throttle on the Fat Boy® will thrill you. Because underneath, it’s all muscle. Available in 107 and 114 engine displacements.